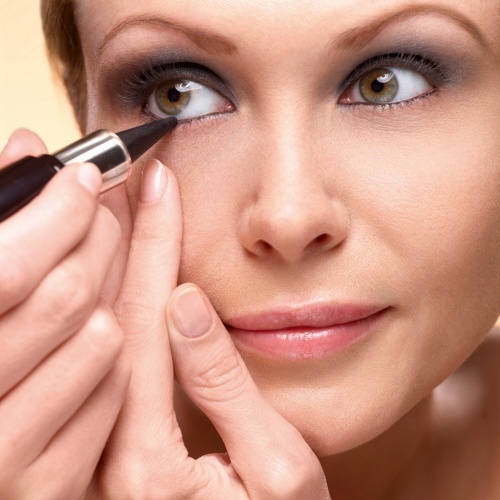 When using a kajal pencil, always start from the outer corner working inwards. Make sure to take short strokes & don’t shy away from pressing the pencil on the waterline. You are not going to hurt yourself while doing this 🙂 Kajal pencils are made keeping in mind the area that it needs to be used in & hence they are creamy & soft. In case if you feel that your eyes are very watery & the regular kajal pencils do not stay in your eyes, you can use a gel liner with a brush inside your eyes too. Please try it a couple of times & in case if you feel that your eyes are getting red or teary, immediately stop using a liner. Switch over to kajal pencils. 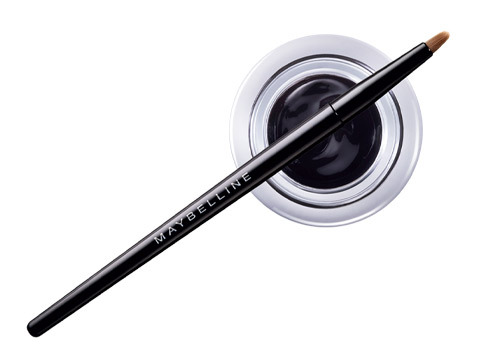 Another way of making your kajal stay longer is by dipping your regular kajal in a black gel liner pot & then applying it directly to your waterline! This would make the black very intense & would make it smudge proof. If you feel that even after doing this your kajal still smudges, apply a little bit of brown or black eye shadow just below the waterline, with even strokes, again beginning from the outside & stopping till 3/4th of the eye. The powder of the eye shadow will stick on to the creamy texture of the kajal & would not allow the kajal to budge from it’s place. Leave the inner corner bare or apply a light shimmery shade to make the eyes pop. It ws vry useful n importnt. It helpd me a lot.. It ll help me enhance my eyes..
More such tips will be useful for me and my friends,if i receive mails for this. Thanks Madhuri. Hope you have hit the ‘Like’ button on Facebook & have also clicked on the ‘Follow’ button on the top left to receive emails in your inbox each time I publish a new post. I want to best kajal pls tell me. Sana, try the ‘Faces’ kajal. It’s jet black, economically priced, stays for long & does not smudge too much. You hafe dne a outstanding job! Thanks for sharing this Soundarya. Awww. You are most welcome! which kajal i shud apply which last long nd makes my eyes mst attractive..?? Try the Lakme Eyeconic kajal. It’s pretty good. I loved this article…! I found yr tips to apply matt eyeshadow below the lower rim of eyelashes after applying kajal to stop smudging quite practical..! I am really scared to apply kajal..as I feel it may poke my eye..how to apply it in a safe way? ?